Eyes were to the sky and devices locked to the radar as pit chatter centred around who put the snowmobile in the Lusty tent and whether the forecast rain would arrive in the morning or as the forecast read – hold out till late afternoon. 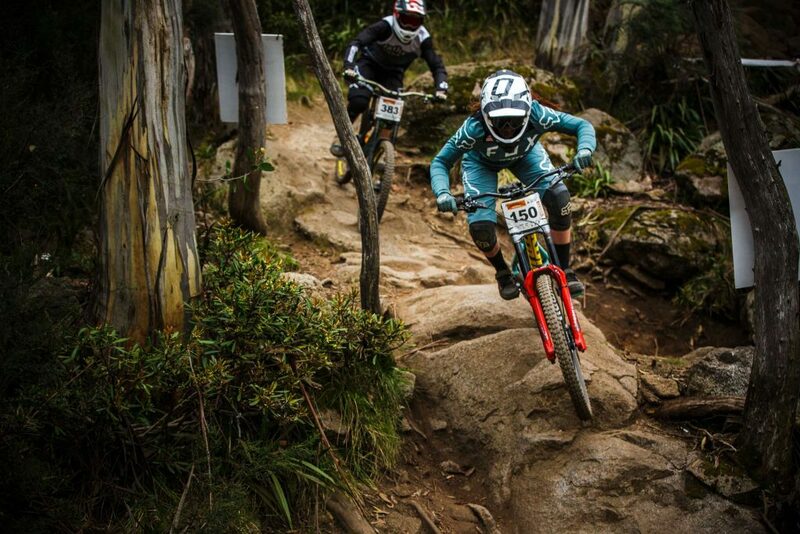 The Commencal Australian Open Downhill is a 3.5km 370 vertical metre race starting at the top of the Kosciuszko Express, it takes in the famous fire road, before entering the technical descent to the village and big waiting crowd. All week the weather was hot, fine and sunny but come late morning on race day a band of rain rolled in dropping 5mm across the track, it was then a change of tactics as all week riders had trained on a dry, loose dusty track. 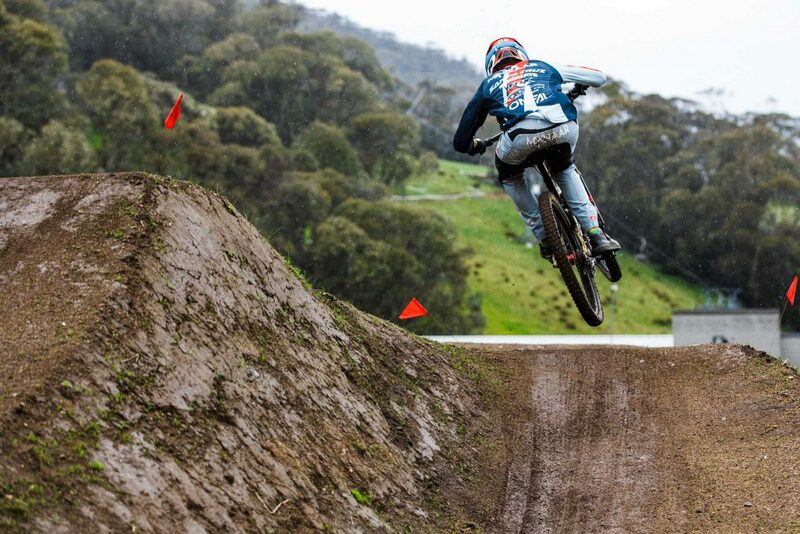 The showers added a tacky layer to the dirt giving most categories prime track conditions, but as the pro men’s were set to jump the rain settled in, holding up racing until the storm passed. It was an all-star line up in the pro men’s with the waiting crowd keen to see how the world’s best handled the slippery Aussie track. 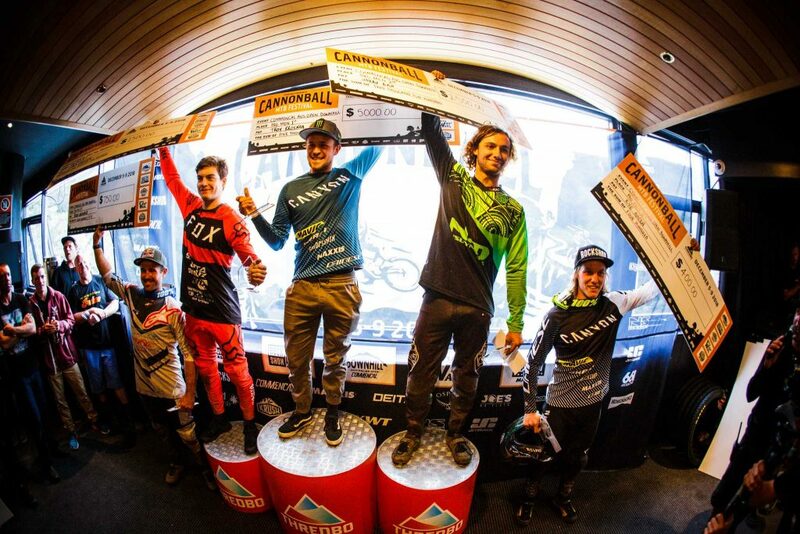 Troy Brosnan made the most of the conditions, sliding into top spot making it a four-peat, this win makes Brosnan the most decorated Australian Open Downhill winner. He rode the course in 5:30, just a pedal stroke ahead of Australian Harry Bush with French rider Loris Vergier in third. For the world cup riders Cannonball Festival is a great start to training for their season ahead, so they were taking it easy on the rain-soaked track. 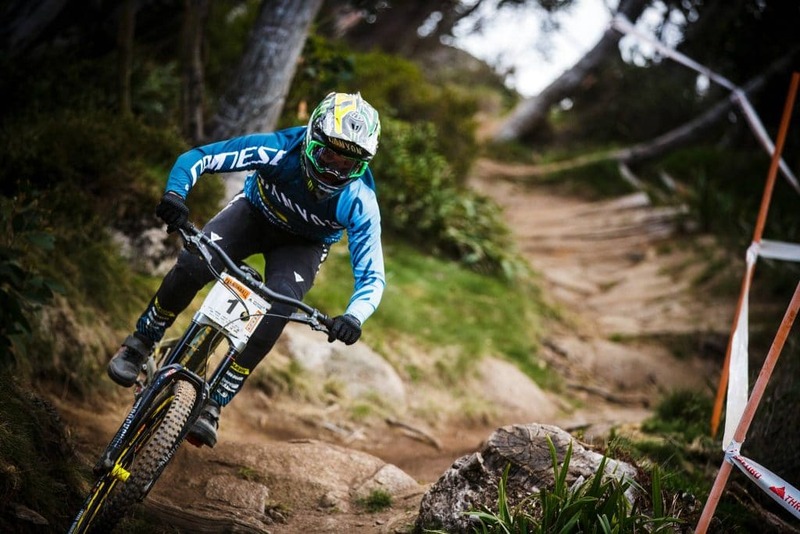 “I struggled to train in the dust and race in the rain, I got a bit sideways so I pulled it back a little, it was super fun actually” remarked Canadian Enduro rider Yoann Barelli. 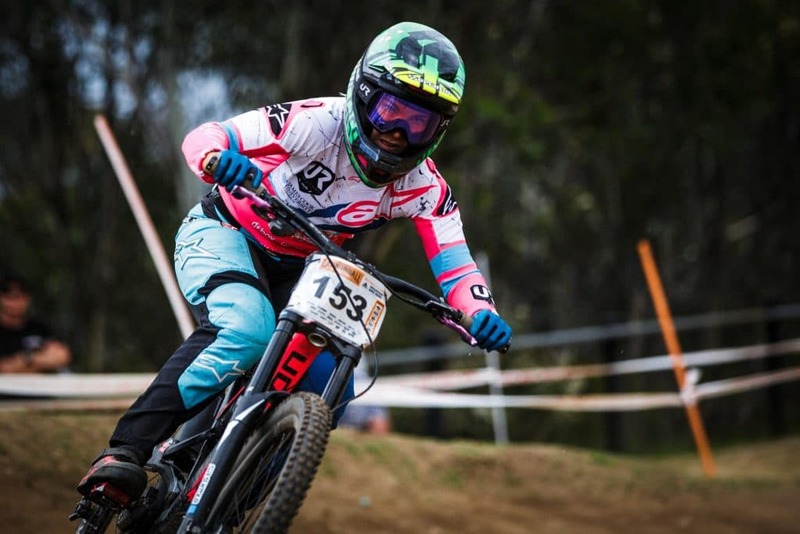 After six years of the Australian Downhill, the record books still show that only two people have won the event in both the men’s and women’s categories. Troy Brosnan and Andrew Crimmins have four and two wins respectively. 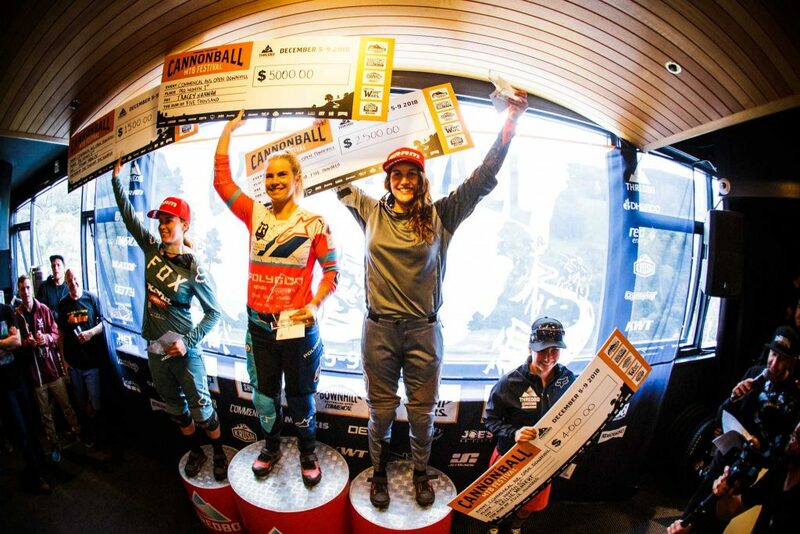 Local rider Tegan Molloy and Tracey Hannah now share equal wins in the women’s category.